In the Gaza Strip, growing up on land owned by his family for centuries, eleven-year-old Yousef is preoccupied by video games, school pranks, and meeting his father's impossibly high standards. Everything changes when the Second Intifada erupts and soldiers occupy the family home. Yousef's father refuses to flee and risk losing the house forever, so the army keeps the family in a state of virtual imprisonment. Yousef struggles to understand how his father can be so committed to peaceful co-existence that he welcomes the occupying Israeli soldiers as `guests', even in the face of unfair and humiliating treatment. Over time, Yousef learns how to endure his new life in captivity - but he can't anticipate that a bullet is about to transform his future in an instant. Shot by an Israeli soldier at the age of fifteen, and taken to hospital in Tel Aviv, Yousef slowly and painstakingly confronts the paralysis of his lower body. Under the ceaseless care of Israeli medical professionals, he gains a new perspective on the value of co-existence. These transformative experiences set Yousef on a difficult new path that leads him to learn to embody his father's philosophy, and spread a message of co-existence in a world of deep-set sectarianism. 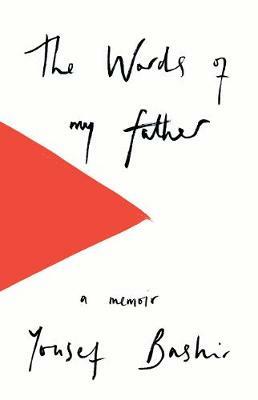 The Words of My Father is a moving coming-of-age story about survival, tolerance and hope. Yousef Bashir is a Palestinian from the Gaza Strip, the son of a respected educator. After relocating to the United States, he earned a BA in International Affairs from Northeastern University and an MA in Co-existence and Conflict from Brandeis University. Now living in Washington DC, Bashir is a public speaker, author, and a peace advocate. He worked at the United States Congress and currently works for the Palestinian Diplomatic Delegation to the United States.